Hello Nomad phone cases and accessories not only protect and secure mobile devices but also add extra functionality and capabilities standard smart phones and tablets do not include. Some of these cases include mobile camera lenses built right into the cases themselves, whereas others feature accessory wireless charging components, extra battery and power banks, and a host of other solutions that extend the functionality of all modern and popular smart phone/tablet devices. 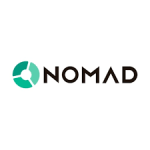 Hello Nomad customers can save up to 50% off or more on these products by visiting the Sale section of the site, we Clearance merchandise discounted by upwards of 75% off or more. Get Gear starting from $19.95. Get Cases starting from $24.95.